My interest in phytoplankton supplementation came about just before I was to undergo chemo and radiation treatment.At the time, I was looking for a way easy-on-the-stomach to store up on micronutrients, especially trace minerals. I was then drawn to the ongoing research focused on the harvesting of marinelife, in the likes of seaweed, krill and phytoplankton. I found out how not only this is a highly sustainable source for our food supply, but also that, unlike fish farming, offers outstanding safety both from environmental pollutant and farming byproducts. Over the years, I have gotten used to the idea of eating seaweed, but I was completely new to phytoplankton. Even if far from sounding appetizing, there is an implicit leading edge concept that I thought worth of attention. That’s the notion of simply short-cutting right into to the web of fish food adopting the very source of their nutrition. ‘In short, we indirectly eat phytoplankton when we eat fish in the same way that we indirectly eat vegetables when we eat meat.’’ write Rich Interdonato, and Glenn E. Richardson, in their introduction to a pilot study on marine phytoplankton conducted at the University of Utah. This implies the notion mentioned by J.F.K. in 1962, that ‘going back to the sea’ intended as life primordial ecosystem. It’s a return to our own biological origins, to that hypothesized complex ‘primordial soup’, the primal seawater where all spontaneous generation of life on earth had its very first start. The composition of human plasma itself, the fluid around the membranes of every cell, is similar in its composition to seawater. Salinity in our bodily fluids is indeed a reminder of that far ancestry. But what is phytoplankton? Until then, I only had experience with the unique presence of fresh water phytoplankton in the spring water of Saturnia, Italy. The rejuvenating effects of this spring water was very well known since ancient pre-Roman times. Personally, every time I had the pleasure to soak in those seemingly magic thermal waters, I felt renewed and happy. Years seem to shed off my body every time by simply dipping into the warm running water. The term phytoplankton comes from the Greek words phyton, meaning “plant“, and planktos, meaning “wanderer” or “drifter.” Most of these organisms are microscopic in nature and cannot be seen individually with the naked eye. Phytoplankton represents the basic beginning of most aquatic food web: they are the foundation of the ocean food chain, besides contributing to the creation of a large portion of the oxygen earth supply. These microscopic organisms literally made life possible on our planet. Their dense nutrition content not only sustains life, but can provide optimal regeneration and energy to every cell of the human body. 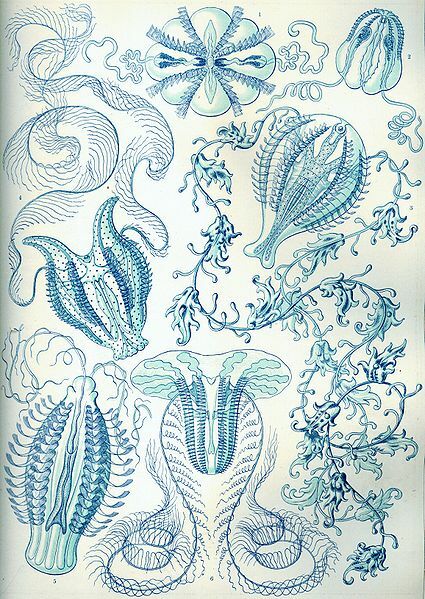 The attractiveness of phytoplankton as food is enhanced by several of its inherent qualities. Practically, with the exclusion of its compact cell walls, all of it is digestible, in contrast with higher plants, that contain a larger portion of cellulose (what gives structure and strength to the cell walls of all common vegetables and provides fiber in our diets) The protein content is higher than in field plants, it is of low molecular weight, and contains most of the required amino acids. Under controlled conditions, an excellent lipid yield can be achieved. Vitamins and minerals are present in abundance. What about its palatability? I have to admit my very first bottle of phytoplankton was a greysh murky looking liquid, with a definite aftertaste of fishy seawater. To mitigate its strong flavor, I used to add it to juice or tea. My second attempt was on the opposite extreme: a clear liquid, with seemingly no flavor at all, so much so, that I started doubting of its content and efficacy. After these questionable experiences, I was finally introduced to the Alpha 3 concentrated marine phytoplankton (Alpha 3CMP). ForeverGreen, a.k.a. FGXpress, patented a method of production that has the advantage of delivering an unadulterated open cell phytoplankton. This process is what makes it bio-available: it maximises the body ability to absorb all of its rich nourishing content. In fact, the phytoplankton cell membranes are made mainly of cellulose or silica that our digestive system is unable to break down. In the Alpha 3 CMP the cell walls have been naturally and gently ruptured without using any heat, freezing, or chemicals, allowing the essence of the phytoplankton to become bio-available for human consumption. This enables the dense nutrition content of this micoscopic organisms to get absorbed right into the human cells and feed them at a mitochondrial level – our cells powerhouse. Alpha 3CMP was the exact type of phytoplankton used by the team of researchers at the University of Utah for their pilot study. This randomized placebo-control study was conducted with 41 volunteers in order to determine the effects of taking either a liquid or capsule marine phytoplankton food supplement on blood, body, and psychological measurements over a 90-day period. All of the body measurements were statistically similar across both groups, with the exception of the percentage of CD3 blood measurement in the phytoplankton group, which resulted significantly higher. (CD3 is an indicator of the presence of T-Lymphocytes, as it is required for their activation. T-Lymphocite are primarily responsible for the elimination of antigens such as viruses and bacteria in living tissue). In addition, significant increases were observed in scores on the emotional subscale of the SF36, a health survey used to determine functional health and wellbeing. Other increase was also found in scores on the Authentic Happiness Inventory, an instrument developed by Dr. Martin Seligman, Director of the Penn State University Positive Psychology Center. Inquires included good moods, feeling successful, ability to focus, filled with joy, pride, enthusiasm, and optimism. Additional paired t-tests were performed to compare the values within each group across measurement sessions and revealed that the phytoplankton group’s blood measurements changed. These findings seem to indicate that the consumption of marine phytoplankton as food supplement may explain some physiologic changes and have impacted both the immune system as well as the self-reported emotional state of the participants. (II) Besides its benefial effects on the immune system, supplementation with phytoplankton might also help relieve seasonal affective disorder. Upon placing my very first order for the ForeverGreen Alpha 3CMP, I was only vaguely aware of the phytoplankton effect on CD3 count. I figuered I would give it a try, especially considering the need for a jump-start to my depleted T-Lymph cell count, a major casualty of the mitomycin I was administered for cancer chemotherapy. The sensation I had when I first tried the Alpha 3CPM formulation was like nothing I remember ever ingesting before. As I gulped about half a teaspoon worth, I had the clear sensation of some kind of energy going down my throat, passing through the esophagus, and landing and spreading into my stomach lining. Not comparable to any food or liquid. It was the sensation of gulping down just energy, rather than a substance. A higher vibration initiated an impromptu awakening by resonance of my energy centers lined up on its path down the digestive system. Its slightly salty, creamy texture was just agreeable to the palate, but the energetic sensation coming from its ingestion was captivating. I felt like I was ingesting a blob of light. Later I found out that marine researcher in order to measure quantities of phytoplankton in a body of water, use the response of these photosynthetic organisms to a particular wavelength on the light spectrum, basically their bioluminescence impressed on photographic instruments. Besides leaving me energized, this first experience is what sparked an interest in finding out more about the Alpha 3CMP and the full line of products offered by ForeverGreen. Shortly after trying the dropper version of Alpha 3CPM, I was introduced to the PowerStrips™. A friend description of her very first experience with them was comparable to the one I had myself with the drops. This is a very innovative concept that delivers the benefits of the Alpha 3CMP through the dermis. The PowerStrips™ were developed by Dr. Minsu Kim, PhD., researcher at the Institute of Engineering and Technology of the Future at the University of Korea. Dr. Kim cutting edge technology, based on quantum physics waveform energy is blended with the ancient wisdom of Asian herbal tradition. PowerStrips™ combine the benefits of the Alpha 3CMP with the power of herbs such as Korean ginseng and capsaicin, and the exceptional reflective properties of elemental germanium. This Patented technology is designed to activate all surrounding cells of the human body for energy and relief. Their use relieves pain, and promotes body energy, vitality, and mental clarity. PowerStrips™ are a U.S. FDA-listed Class 1 medical device, which adheres to the skin to provide temporary relief of minor aches and pains while also promoting healthy skin. Dr. Kim based his approach on David Bohms particle and wave and quantum theories. To create the PowerStrips™ he built a room where he was able to capture Quantum Energy. 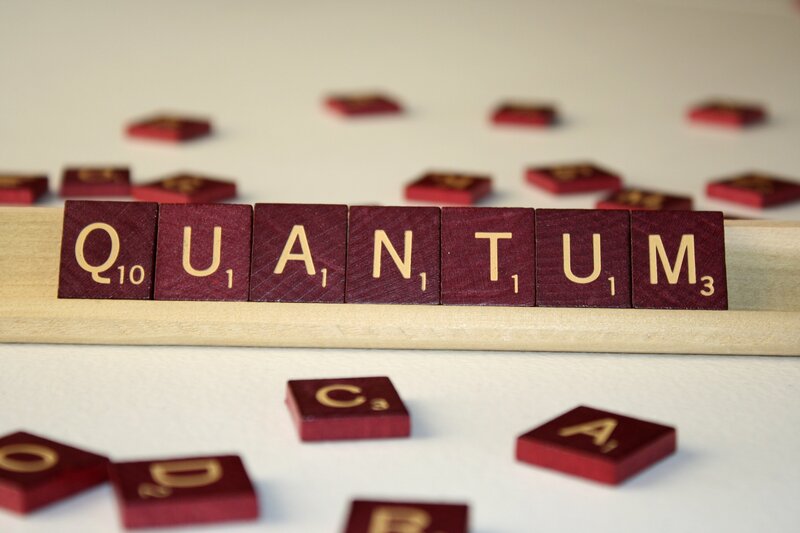 Dr. Kim developed a QE generating device and specialty film to radiate wave energy within the room. The QE treatment room uses infrared light as sunlight, ultraviolet rays and solid-state lighting. PowerStrips™ are treated with 50 different types of QE for 48-72 hours within the QE treating room. Whit each added layer to the strip more QE is added again. As Dr. Kim explains, every single component of the human body, DNA, muscles, bones, skin, organs and so on has an energy of it’s own. Not just our bodies but any kind of object or animal or plants has its own specific energy. Each body part has inherent QEs (or wave energies & frequencies). His team was able to make 25,000 specific wave energies (or frequencies) and code them. When the PowerStrip™ is applied to a painful area the quantum energy actually subsides and alleviates any kind of pain, helps the blood circulate and calm the nerves. It helps the muscle system, nervous system and supports the immune system. Each PowerStrips™ is an ultra thin strip with a petroleum-free, water soluble adhesive for safe continuous daily use. , MARINE PHYTOPLANKTON (Alpha3 CMP™) and CAPSAICIN. 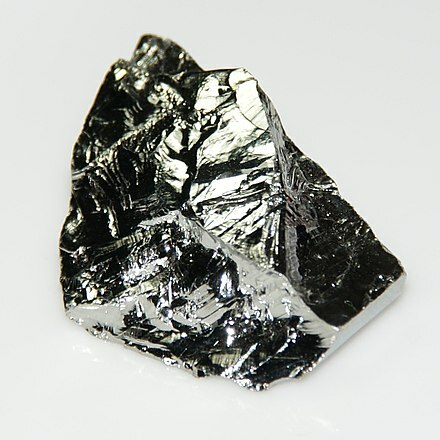 Elemental Germanium exceptional reflective properties are used to create a Far Infrared Wave. The organic germanium, laced into each PowerStrips™, absorbs the body’s heat waves and refracts them back into the area as Far Infrared Rays. This process dilates the vessels to increasing oxygen and nutrient rich blood and allow the cells to export metabolic waste. Thus, creating an environment to relieve pain. The Far Infrared Rays spectrum of light is a subdivision of the electromagnetic spectrum that has been investigated for biological effects. FIR wavelength is too long to be perceived by the eyes, however, the body experiences its energy as a gentle radiant heat which can penetrate up to 1.5 inches (almost 4 cm) beneath the skin. Far infrared is basically the ‘warm’ energy in humans, animal and plants. Its intensity constantly fluctuates. When its intensity is high we feel energized and healthy. When it starts to decline, we are subject to disease and premature aging. We can be exposed to FIR heat for extended periods of time without getting skin burns. It is completely safe and healthy. The sun emits FIR. The palms of our hands emit FIR. Palm healing has an ancient tradition in China. For 3,000 years healers used the healing power of the heat and energy radiating from their palms, same as Reiki healers do. It is used by Qi Gong masters and Yogis. Human use of thermal therapy has in fact been in existence for many centuries, its theraupetic properties were known and appreciated by many ancient civilization like the Romans, the Finns, and the American Indians. FIR energy promote health by increasing the ability of our bodies to fight various disease causing pathogens. Improved thinking, concentration, memory and work efficiency, physical stamina, and athletic endurance. It is widely used in China for the heart and blood vessels. Capsaicin is the component that makes chilies hot. It gives an endorphin rush that makes it an effective remedy for pain and other medical conditions. The endorphins work to block the heat. The body produces them in response to the heat, which it senses as pain. Capsaicin is used to relieve neuralgia and helps to alleviate minor pain associated with rheumatoid arthritis or muscle sprains and strains. Capsaicin’s analgesic, anti-inflammatory effects are due to its capacity to mimic a burning sensation. The result is that nerves overwhelmed by calcium influx, become unable to report pain for an extended period of time. With chronic exposure to capsaicin, neurons are depleted of neurotransmitters, leading to reduction in sensation of pain and blockade of neurogenic inflammation. If capsaicin is removed, the neurons recover. In the dermal absorption process chemicals are transported through the skin from its outer surface both into the skin itself and into the body systemic circulation. Chemicals pass through the seven cell layers of epidermis before entering the dermis where they enter the blood stream and lymphatic system to rapidly circulate to other areas of the body. Through the dermal absorption the body absorbs substances in a fast and efficient way. By-passing the stomach with its gastric acids, all the beneficial elements compounded in the PowerStrips™ get absorbed unadulterated delivering their therapeutic effect directly into the skin, blood and lymphatic systems. This explains the almost immediate beneficial effect I felt when soaking in the spring water at Saturnia. Even if that particular phytoplankton is not recommended for internal use, the body has no problem absorbing its beneficial nutrients through the skin, in an efficient, safe way. I am also reminded of the garlic-rub test. A clove of fresh garlic, cut and rubbed under the foot, brings a definite taste of garlic inside the mouth in just a few seconds. I just recently started using the PowerStrips™ on myself. A few days ago, my ankles got unusually swollen. Looking at my feet, I could hardly see the fibula and tibia sticking out from the sides. I figured, it must have been the continuos use of croc shoes in this hot weather. So, I changed to a more fitting, arch supporting shoe option. In addition, I used two of the strips, one on each ankle. Last night, after two days of wearing different shoes, my ankles were still a bit swollen. But this morning, after applying the strips on them for just 2 nights, my fibula and tibia were visible again, and my anckles are now back to normal. In addition I have to report that my CD3 count on my latest blood test were off the chart, after just 4 months of taking the phytoplankton. For a while I supported and became a reseller of Forever Green products, but to me, thes ones here described are so far the only products I find to be natural and have have an effective nutritional and curative value. Unfortunately, the company is involved in producing and marketing other nutritional products that even if still retain high quality standards are nonetheless highly processed and refined.